One of the classic mistakes we make as communicators is failing to connect the dots and/or draw conclusions for our audiences. It’s easy to assume that, because we understand the message and our underlying intent, everyone else will understand it too. The obvious examples occur when fundraising letters forget to specifically ask for a donation, or when a recruitment letter forgets to specifically explain how the recruitment process works. Less clear are examples when audiences are left wondering about whether a message applies to them. Yesterday evening, I travelled home from Townsville. And the standard announcement caught my attention: ‘In preparation for takeoff/landing, all electronic devices must now be switched off’. After the announcement, people around me dutifully turned off their laptops. But the e-reader people kept on contentedly reading. And the flight attendants made no move to ask for them to stop. So, are e-readers in some way exempt from the ‘electronic devices’ category? Are they in some way different from my netbook computer (which I was using as an e-reader)? Am I missing something here? 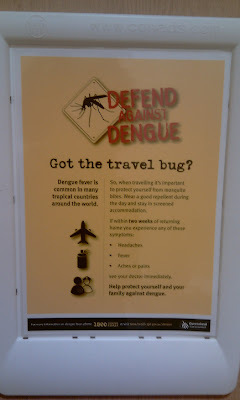 It encourages people to protect themselves from mosquito bites when they travel, because dengue fever is common in many tropical countries. 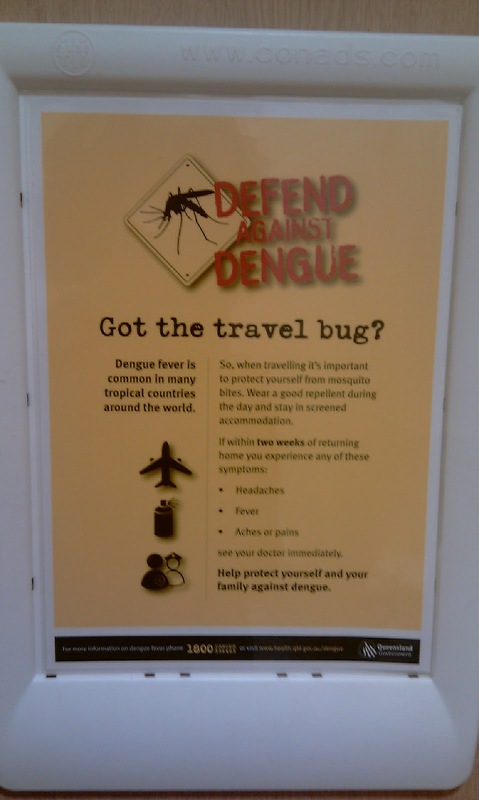 Now, OK, I can figure out from the text that mosquitoes must be the carriers of dengue fever, but the poster doesn’t actually state that. It’s a connection that I have to make – an easy one, maybe, but still one that the author has assumed that every audience member will make.